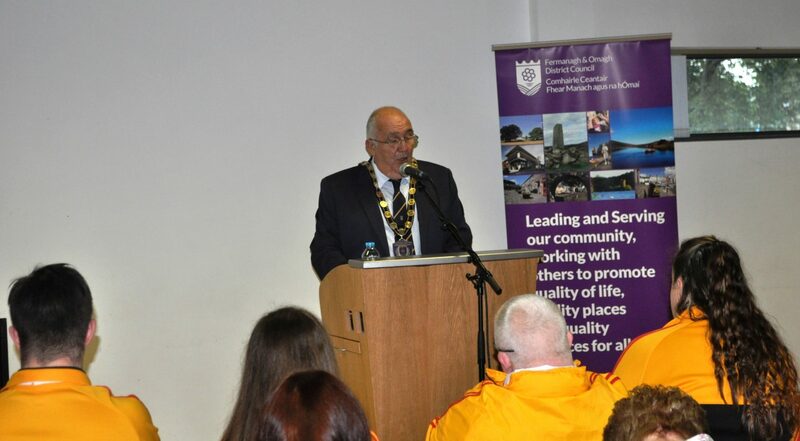 The Chairman of Fermanagh and Omagh District Council, Councillor Howard Thornton, recently hosted a reception for athletes, coaches and supporters of Spires Special Olympics Club, Omagh and Starbreakers Special Olympics Club, Carrickmore to recognise the success of their athletes who represented Team Ulster at the recent Ireland Games in Dublin. 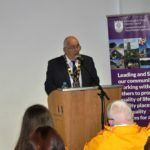 Speaking at the event, Councillor Thornton said “I am delighted that, I, in my capacity as Chairman of Fermanagh and Omagh District Council, have been afforded the opportunity to host this evening’s reception. Since their formation, both Spires and Starbreakers Special Olympics Clubs have had as their core objective, developing the life skills, increasing confidence and building self esteem of the athletes through social inclusion. 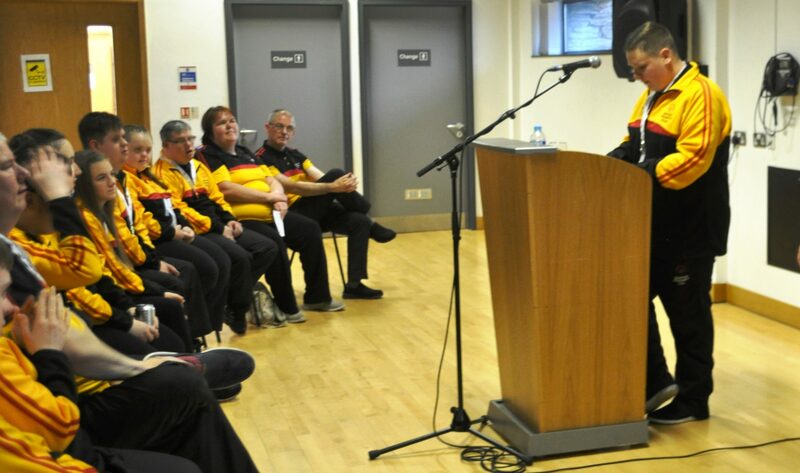 Mrs Rosemary McAleer, Chairperson of Spires Special Olympics Club thanked the Chairman of the Council for honouring both clubs with a reception. She spoke of her pride at the success which the Club has achieved at the Ireland games down through the years and announced that club member, Lee Mitchell, had been selected to represent Team Ireland in the equestrian discipline at the World Summer Games in Qatar in 2019. 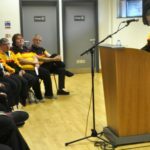 Speaking on behalf of the athletes from both Spires and Starbreakers Special Olympics Club, Gavin Forsyth spoke of how much Special Olympics meant to him and how he had developed as a person and as a sportsman and spoke of his pride at representing Team Ulster at the Special Olympic Ireland Games and his joy at winning a silver medal in Equestrian. Heather Bell, speaking as a parent and a volunteer, spoke of her pride at the progress her son Robbie had made as a Special Olympics athlete which culminated in his gold medal in swimming at the recent Ireland games.